On this page, you will find the latest news on Code Lyoko. For even more information, go to the forum! We've got a short but interesting video for you today! YouTube user camrockon posted this video last month for this year's 15th anniversary of Code Lyoko: some messages of thanks from Ulrich, William, Odd, Jeremy, Aelita and Jim, spoken by the original voice cast. They also honour the late Jodi Forrest, who played characters including Sissi and Ms Hertz. With thanks to the RTTP Podcast for sharing the video. You can check out their work here. A little something for those of you who are keen on history. On the 17th of April, a historical documentary was aired on France 2, featuring the Renault factory in Billancourt and the people who worked there. For the record, this factory (one of the largest in France at the time with no less than 36,000 workers) is in its own way one of the last shrines of the industrial era, opened in 1929 during the interwar period and closed in 1992 with the decline of manual labour and the era of mechanisation. The documentary is centred on the period from 1960, the 30 years of glory until 1992, by way of the events of May of '68. It notably gives voice to the last generation of employees at the factory: workers and office staff, in the office and in the workshop! To conclude, a reminder that the factory was demolished at the end of 2004 and the island was turned into a cultural centre. 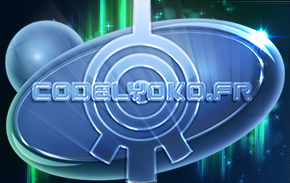 Have a nice Return to the Past on CodeLyoko.fr! Older members of the French Code Lyoko community, who were around when the series started airing, will remember a time historians once called, "Le péril ricain," or "The American peril." Indeed, during the era of season 2 and all the way through season 4, a number of rumours spread about the will of the Americans and Cartoon Network purchasing the Code Lyoko licence. At the time, we all trembled as we imagined the effects of clichéed Americanisation on our truly French cartoon, with Yumi going up 3 bra sizes and Aelita being renamed Kimberley. That never came to pass and if memory serves, the last episodes of season 4 of Code Lyoko were never even aired on CN because of a "commercial disagreement." Later on, following the end of the series, many thought that the series may one day be taken up by Americans... We only got Code Lyoko Evolution. What nobody saw coming was that the Americans would take the series up again someday...its content...its concept...its characters... But under another name, so as not to confuse copyrights or intellectual properties. (This first bit will be treated a little lightly. Unlike Moonscoop or Dargaud, we don't answer to Netflix, so we can finally let loose a little and call them out on their crap! A more formal analysis will come at the end of the article, after the video). This series is called, "Reboot: The Guardian Code." The title already sounds familiar. In it, we find teenagers attending a "school specialising in computing technology." On a casting level, we've got: a black guy (black Ulrich), a comic relief character... (In the end, there's only Yumi who seems to be missing, logically replaced by a blonde girl who takes selfies). They meet a virtual artificial intelligence (well then...). She ends up arriving at their school in flesh and blood (Oh...). To do this, they use a very simple process: virtualisation. (You may think that it's performed differently to in Code Lyoko, but....no!). Once in the virtual world, you'll find out heroes in their virtual outfits with superpowers (On my mother's life!). But because Cyberspace is vast, they also need to explore a place that looks a lot like a certain global network, like two peas in a pod. They fight different threats on the world, spawned by the malicious virus created by an evil computer genuis hidden in the shadows behind his screen. Back to a more pragmatic view. Effectively, at first sight, this trailer seems to be a mix of 70% Code Lyoko, 20% Tron and 10% Iron Man. To an extent that with serious reservations, it's incredible to wonder how far Netflix will go before they're afraid of a plagiarism lawsuit. However... This series, as its name indicates, is a reboot. But it's not a reboot of our cartoon, rather another cartoon called, "ReBoot". If that doesn't mean anything to you, that's normal. It was a Canadian cartoon aired between 1994 and 2001. It was broadcast in the country of the maple leaf. It tried to spread to the USA, but it had very little success due to competition between the big animation channels. It then tried to export across the Atlantic to the United Kingdom, but it was very quickly censored due to complaints from parents who thought the cartoon and its characters were too violent and crude for their young children. "The story takes place inside a computer. Bob is a Guardian who is charged with maintaining the security of the Mainframe system, in which can be found a virus named Megabyte. The virus tries at all costs to infiltrate the SuperComputer, another much more powerful system that Bob originally comes from, in order to infect it. Bob also has allies in the form of Dot Matrix (a young woman who manages a large part of the system and is at the head of the restaurant Dot's Diner), his particularly reckless little brother Enzo who's always accompanied by his dog Frisket, and Phong the "old sage." 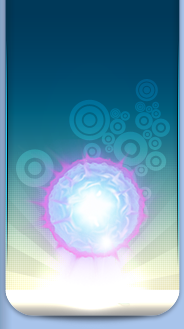 They do all they can to fight against Megabyte's offensives, but also to take part in games hosted by the user of the system, which manifest as violet cubes that fall from the "sky," and in which they must battle the user at all costs: if they lose the round, they will be deleted and will provoke the destruction of a sector of the Mainframe." The new series you just watched the trailer for was pitched in 2013, commissioned by Netflix in 2015, filmed in 2017 and will release on the 30th of March 2018 on Netflix. It will be both a reboot and a continuation (in the style of Code Lyoko Evolution) that notably ignores the fact that the fourth and final season of the original cartoon ended on a cliffhanger. Now... How should one react? - First of all, if you're not afraid of huge American clichés (because even the opening swamped us) and if the theme of the battle between humanity and cyperspace is still a passion of yours, throw yourself into this series. - If you're more outraged like the CL.fr writing team, you can watch the first few episodes and see if our first prejudices are true or not. - In a lighter manner, you can also content yourself with looking at this series in a more curious manner: indeed, due to its format, the series will address an older audience and as a result, it's possible that a number of "taboos" of the Code Lyoko cartoon in terms of humour, romantic relationships, etc...will be touched on in this series, and that it will include gags or lines that we'd hoped to see at the time of Code Lyoko. On March 30th! Only on Netflix! Those of you who are better connected will already have heard the news, especially those who are following Thomas Romain on Twitter. One of the fathers of Code Lyoko passed away last week. It was Carlo de Boutiny, whose name appears in all the openings of Code Lyoko. This man was a writer for cinema and although he wasn't very well known to the LyokoSphere in the end, he guided the young Tania and Thomas at the end of their studies and helped them to take the first steps in the Garage Kids/Code Lyoko project. "We developed the CODE LYOKO project together in 2001. With great sadness I've just learned that my friend Carlo de Boutiny has left us. As well as being a formidable person, Carlo was a talented writer. I miss his words." Le projet Code Lyoko avait été initié par Tania Palumbo et moi-même alors qu’on sortait tout juste de l’école d’animation. Carlo qui venait du cinéma nous avait apporté son expérience de scénariste. Il a beaucoup travaillé avec le réalisateur Jan Kounen. "The Code Lyoko project was initiated by Tania Palumbo and myself just after we left animation school. Carlo, who had his origins in cinema, brought us his writing experience. He did a lot of work with the director Jan Kounen." It's summer, it's school holidays (for the lucky few) and like every other summer, each moment of rest is spent outside or staying at home binge watching TV series, for example. For those who prefer the latter idea and who are fans of Code Lyoko (surprising for someone on codelyoko.fr ), Dargaud offers you the entire series for free on the official Code Lyoko YouTube channel (in other words, the only channel where Code Lyoko episodes are officially available ). This channel, opened two years ago, has published new episodes every week until recently finishing with the release of episode #95 - Echoes. On your phone, tablet or television, you no longer have any excuse not to watch a good little episode. What? You'd rather watch with the original French voices rather than the English? No problem! The episodes are also available in French. No excuse, I tell you! There, now nobody misses out. Have a nice evening on co...what was that? And for those who...don't want to see the episodes...in English...or in French? 1) It's summer, get some sunshine! Despite the years that have passed since the end of the cartoon, Code Lyoko continues to be appreciated by many as a quality cartoon and a nostalgic childhood memory. This is why a YouTube channel that creates videos themed on cartoons has leaned towards our baby. The channel is called Channel|Frederator and its thematic videos are based and titled on the theme "107 Facts You Should Know About...". As the model becomes more and more popular on YouTube, the channel creates videos about cartoons and asks its subscribers to propose the subject of the next video in the comments. And so, after numerous requests from the English-speaking audience, on the 10th of May, the channel finally released "107 Facts You Should Know About Code Lyoko". - Firstly, this video paints the history of Code Lyoko across the board: its origins, sources of inspiration, Code Lyoko, Code Lyoko Evolution, the actors, goodies, community life, etc... The video leads us in a very nostalgic thematic cruise that will revive a lot of small memories linked to the series. - ...despite our decades of research and writing, the author(s) managed to find facts or supply analyses on certain points that we've never touched on CodeLyoko.fr. There aren't many of them, but nonetheless: hats off to you! Still should be noted that there are some errors among the 107 facts (like point 15 for example, showing Evolution concept sketches while discussing the Garage Kids concept art). - We note the mention, throughout the 107 facts, of projects that our site hosts or is partners with. One good homage is given to Immu's IFSCL, our fantranslation project of the Code Lyoko Chronicles receives a good report (What about Keppsa's one...?) and our cosplayers from old Japan Expos are also given a mention. Though we regret the absence of any credit to us in the end, we can clearly see that for some facts, some drawings from our artists (requested to illustrate our files) appear in the video. This is extremely gratifying for all the people who have worked on the site at any level (office and workshop!) to see that years after, our work continues to serve people and the site retains its role of the most complete and rich encyclopaedia on the series, despite being fanmade on a volunteer basis. Well, I've said enough. Enjoy the video! Tonight, a very short news post to announce the rebith of the Île Seguin. Those who've been following the site for a while should know it: the Île Seguin (or Seguin Island) where the large Renault factory once stood (which served as the source of inspiration for our heroes' factory) remained abandoned for years, until the factory was demolished and a new project came to light. This vast project which we've been getting information about for years has finally come to fruition: on the island now stands a building dedicated to music: the "Seine Musicale" and the grand opening is tonight. Rather than say anything more about it, here's a link to the site LeMonde.fr (in French) where you can find more information on the event, as well as photos! A very brief bit of news! A few seconds ago, the keyboard from Code Lyoko Evolution, on which Marin Lafitte in Jeremie's skin typed, was sold by Norimage to a lucky buyer for the tidy sum of 281.11€ (excluding shipping)! Aside from this rather anecdotal happening, the prop being sold confirms what we've already more or less guessed: there certainly won't be a season 2 of Code Lyoko Evolution... As even Norimage is beginning to get rid of its props. That's all for this evening! Kisses! A bit of news from Code Lyoko Evolution (which is pretty rare!!)! Norimage posted a little message on their Facebook, directed at fans of Code Lyoko Evolution. A surprise is announced for Tuesday at 8PM. Here's the post in question! So, our advice: don't get your hopes up too high! However, it seems very likely to us that this little surprise will be none other than the famous last Finding of Dude Dudu, which we've had available for some time now. How did Dude Dudu release this without Norimage's knowing? He found this video on Norimage's Vimeo account and, surprised at how little it spread, grabbed it. In the end, we noticed that the video was taken down from the Vimeo account in question. So is this what they're referring to? Or does Norimage have some other surprise up their sleeves? Come back Saturday to find out. Thanks to Zaryu for passing on the information. As we guessed, this surprise was the Jim video. Norimage has already "revealed" the surprise. The only good point: a subtitled version is available for the international community - click the CC button on the right! Two news posts in two days... A nice breath of fresh air for the nostalgic ones. Shut in his secret base, Dude Dudu continues to look for the Ultimate Finding that will plunge the world into chaos. Yesterday, he found a prototype of this finding, hidden in the darkest depths of the net. And so we reveal to you today, the 101st lost finding...and it's worth your time. It's a short film. It's created by Norimage and was created while Code Lyoko Evolution was being filmed. Was it just a joke between the artists that a member of the crew decided to finalise once Moonscoop was dead? Was it a bonus reel that Norimage kept hidden away for eventual broadcasting...or to be a DVD bonus feature? This short film is centred on the largest mystery within the Lyokosphere. No, not "Where is Anthea Hopper", not "Why did XANA go to the dark side". Not even "Why did nobody in the world ever die before a return to the past?" "What is underneath Jim's band-aid?" Before leaving you to watch, I can already hear the purists thinking: "Bah! Norimage is CLE... And CLE is crap... So this teaser isn't canon!"! Don't worry about that! This short film is truly excellent: on one hand, thanks to the excellent Bastien Thelliez, unanimously known as CLE's biggest success... But also and especially thanks to the few winks to the Code Lyoko cartoon that we find in this bonus clip... References that we would loved to have seen in CLE. Well, enough talking, here's the video and thanks Dudu!